Steeped in darkness and light, Louise Hearman’s works express a sense of solitude before nature. She describes moments of everyday beauty in her travels outside the studio; the light ‘hitting that person in a certain way’ or ‘the clouds open[ing] up, and the trees … throwing this amazing shadow’.1 And she tells of childhood expeditions to Victoria’s beautiful Gippsland Lake District, its valleys and rivers, the saturated darkness of night-time skies and the sheer solitude of their abandon. These experiences resonate strongly in Hearman’s drawings and paintings and suggest why her work is often described in relation to memory and to the temporal condition of film stills. Yet Hearman’s sustained and steadfast practice of nearly three decades is not simply the evocation of personal experience. She may be inspired by the sensory world but the final form of her work is imaginatively composed. Her reveries often reveal singular, disembodied heads floating in landscapes of snow or bush, or before sunsets or emerging from clouds. Indeed, the incorporeal head is a recurring motif in her work, as are children, dogs, flowers and aeroplanes. In most instances the landscape is emptied of features to become a dense mass of painterly forms. 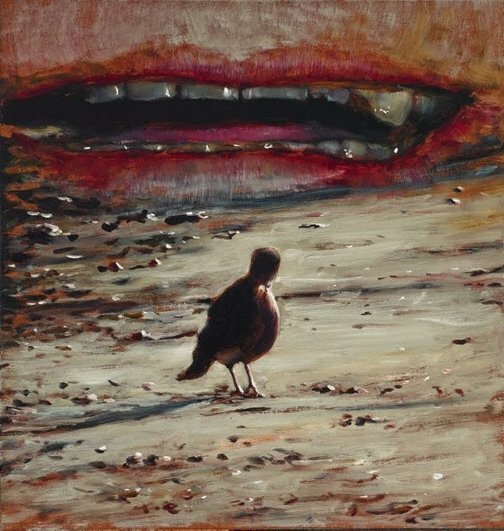 Hearman renders the landscape strange, the familiar unknown and surprising. 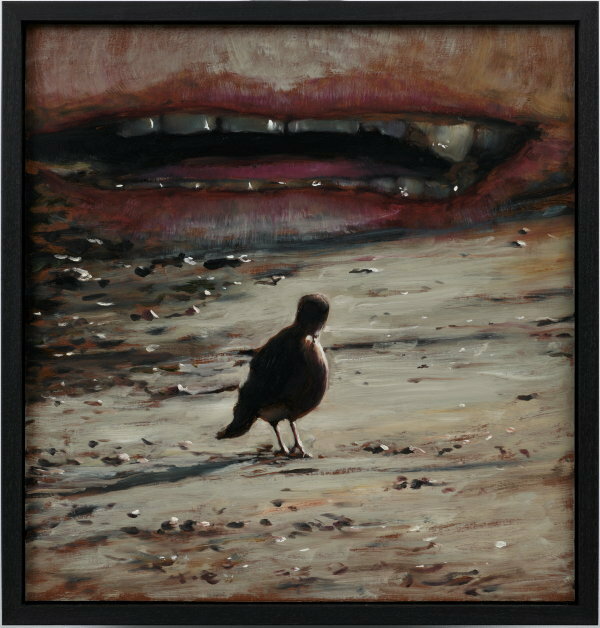 Quiet discord is palpable in the combination of a nonchalant bird standing before an enormous set of gleaming white teeth submerged in the background of ‘Untitled #1304’ 2009. Here, the landscape is defamiliarised and yet made flesh. The artist’s vision is epitomised in the incongruity of this ambient moment, an insoluble bond between disparate visual and spatial considerations. Light governs ‘Untitled #1288’ 2009, with a young boy’s smiling face jutting out from flaming clouds. He stares past the limits of the work and beyond the viewer. The horizon line is boundless and pictorial space is controlled by the boy’s steady yet uneasy presence, and again, the composition is structured around a spatially discordant arrangement of elements. Joan Ross, Look , 'The art that made me', pg. 21-23, Sydney, Mar 2018-Apr 2018, 22 (colour illus.). Wayne Tunnicliffe, Wilderness: Balnaves contemporary painting , Sydney, 2010, 15, 66-73, 69 (colour illus. ).